If I am suffering from a cold or cough this season then I will be sure to reach for my HALLS Extra Strong Menthol throats drops. This new addition to the HALLS line-up features an extra boost of cooling from the higher menthol levels. In fact, the new HALLS Extra Strong Menthol throat drops have 15 mg of menthol versus 5.8 mg in the classic flavors. What I like the most about this product is that the drops have a strong yet pleasant menthol taste that is not overpowering. It is designed to use for the relief of minor sore throat and sore mouth irritation. I did not have a sore throat but I did taste a drop and found it very refreshing. The drop itself is icy clear with little bits of blue menthol bursting in my mouth. My mother had a terrible cough and cold with a sore throat and so I gave her a bag of these Extra Strong Menthol Throat Drops. She said it gave her almost instant relief easing her sore throat pain in less than 10 minutes. It also helped significantly to clear up her nasal passages and sinus pressure to give her much needed additional relief. She was able to repeat with another drop every two hours until symptoms had resolved. How does this throat drop work? Eucalyptus oil helps to provide intense cooling so that throat or mouth pain is relieved. These throat drops come 30 pieces to a bag and I like that they are individually wrapped so it is perfect to take when on the go and I have a few packed in my purse just in case it is needed. America’s #1 selling cough drop brand, HALLS has a wide variety of products to choose from whether you have a cough, dry scratchy throat or sore throat. You can select from HALLS’ Advanced Vapor Action®, HALLS Naturals™ Cough Drops which are my personal favorite, HALLS Defense Dietary Supplement Drops, HALLS Breezers or HALLS Refresh Candy™. You are invited to visit HALLS to find the right HALLS product for you for the upcoming cough, cold and flu season. I really like the Halls Refresh. I like the Halls naturals. 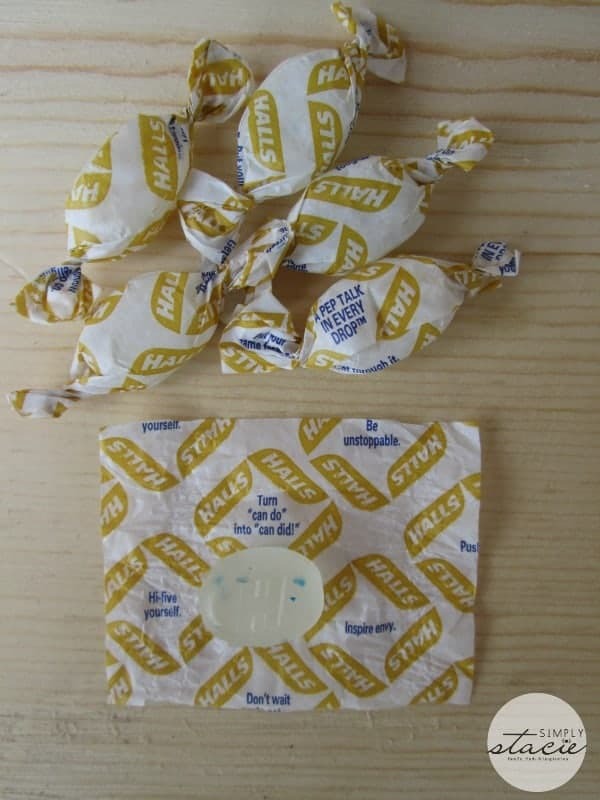 I learned that Halls drops start working in 10 seconds, and can be used to help with allergies while you’re waiting for your allergy meds to kick in! I learned that the Hall brothers founded HALLS in Great Britain in 1893 to manufacture soaps and jams. I like that they make Hall’s with a sugar free option! i learned that the menthol is Halls is a topical anesthetic for temporary relief of sore throats and suppressing coughs. I learned that HALLS started in 1893 in Great Britain manufacturing soaps and jams! I would like to try Hall’s Breezers. I learned they have All Naturals with a honey center. I didn’t realize that Hall’s had so many different products for different type symptoms. I like the Halls Plus with the Icy Syrup Center! 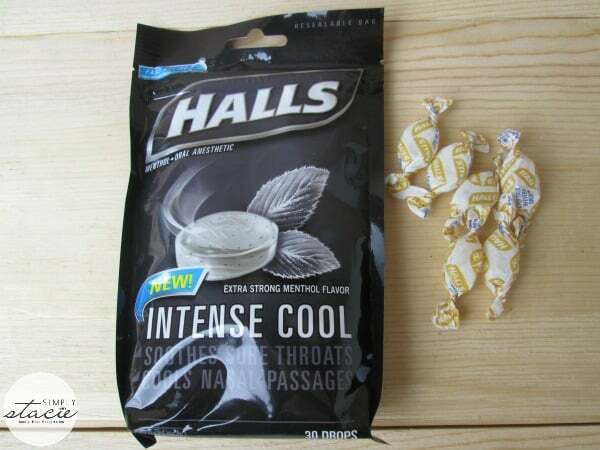 I would like to try the HALLS Warm-Ups. I learned that the page wouldn’t load on my iPad…but I tried these cough drops this week and I love them. They really open up your head! I also like the Halls Warm Ups. I like the fruit breezers.